WASHINGTON (Reuters) – A contractor at the National Security Agency who leaked details of top-secret U.S. surveillance programs dropped out of sight in Hong Kong on Monday, ahead of a likely push by the U.S. government to have him sent back to the United States to face charges. Edward Snowden, 29, who provided the information for published reports last week that revealed the NSA’s broad monitoring of phone call and Internet data from large companies such as Google and Facebook, checked out of his Hong Kong hotel hours after going public in a video released on Sunday. In Washington, several lawmakers called for the extradition and prosecution of the ex-CIA employee behind one of the most significant security leaks in U.S. history. Members of the U.S. Congress said they would be briefed on the topic on Tuesday; the U.S. Justice Department is in the initial stages of a criminal investigation. Snowden, who asked the Washington Post and Britain’s Guardian newspapers to identify him and his role, said he leaked the information because he believed the United States had built a vast and secret espionage machine to spy on Americans. The former technical assistant at the CIA, who had been working at the NSA as an employee of contractor Booz Allen Hamilton, said he had become disenchanted with President Barack Obama. Snowden said that Obama had continued the overly intrusive surveillance policies of George W. Bush, Obama’s predecessor. “I don’t want to live in a society that does these sort of things … I do not want to live in a world where everything I do and say is recorded. That is not something I am willing to support or live under,” Snowden told the Guardian, which published a video interview with him, dated June 6, on its website. Snowden, who the Guardian said had been working at the NSA for four years as a contractor for outside companies, copied the secret documents at the NSA office in Hawaii three weeks ago and told his supervisor he needed “a couple of weeks” off for epilepsy treatments, the paper said. He flew to Hong Kong on May 20. 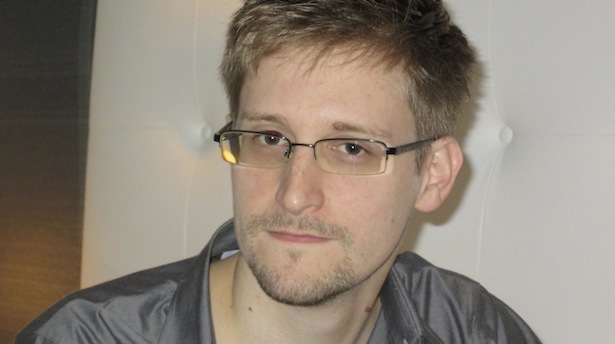 Staff at a luxury hotel in Hong Kong told Reuters that Snowden had checked out at noon on Monday. Ewen MacAskill, a Guardian journalist, said that Snowden was still in Hong Kong. “He didn’t have a plan. He thought out in great detail leaking the documents and then deciding rather than being anonymous, he’d go public. So he thought that out in great detail. But his plans after that have always been vague,” MacAskill said. The United States and Hong Kong signed an extradition treaty in 1996, a year before the former British colony was returned to China. It allows for the exchange of criminal suspects in a formal process that may also involve the Chinese government. The treaty went into force in 1998 and provides that Hong Kong authorities can hold Snowden for 60 days, following a U.S. request that includes probable cause, while Washington prepares a formal extradition request. Regina Ip, a Hong Kong lawmaker and former security secretary, said it would be wise for Snowden to leave Hong Kong. “We do have bilateral agreements with the U.S. and we are duty-bound to comply with these agreements. Hong Kong is not a legal vacuum, as Mr. Snowden might have thought,” Ip said. But Simon Young, a professor of law at the University of Hong Kong, said that going to the former British colony was probably a good decision because there are strong protections for people making asylum claims under its extradition laws. “He’s come really at probably the best moment in time because our asylum laws are in a state of limbo,” Young said. Snowden’s revelations launched a broad debate on privacy rights and the limits of security programs in the aftermath of the September 11, 2001, attacks in the United States. Many members of Congress have expressed support for the surveillance program but raised questions about whether it should be more tightly supervised and scaled back. “In my mind, things that may have been appropriate in the aftermath of 9/11 and in the weeks and months and even years after that, may no longer be appropriate today,” Republican Representative Luke Messer of Indiana said on MSNBC. He said the leaks were obviously a violation of law. “Our system of security can’t work if folks who have access to classified information are allowed willy-nilly on their own to decide what to leak, so the young man’s going to have to be prosecuted,” Messer said.